On June 7, Bart Verheijen successfully defended his dissertation at the Radboud University in Nijmegen. Verheijen is the second PhD Candidate of the ‘Proud to be Dutch’ group to finish his research. His book, Nederland onder Napoleon [The Netherlands under Napoleon], can be bought here. In his book, Verheijen zooms in on the Napoleonic period in the Netherlands, a time of immense change. After his coup d’état, Napoleon gradually expanded his power from France to all of the European mainland, including the Netherlands. Between 1801 and 1813, the Netherlands changed from a republic to a monarchy, and from an annexed part of the Empire to an independent state, headed by the son of the last stadholder. In Nederland onder Napoleon, Verheijen analyses the debates of the time, which accompanied and discussed this quick succession of political regimes. How did pamphlets, songs and literature reflect this changing Dutch identity? And how did the perception of Napoleon change? To what extent did these political and literary reactions aid the rise of patriotism and cultural nation building in a time when independence was under pressure? 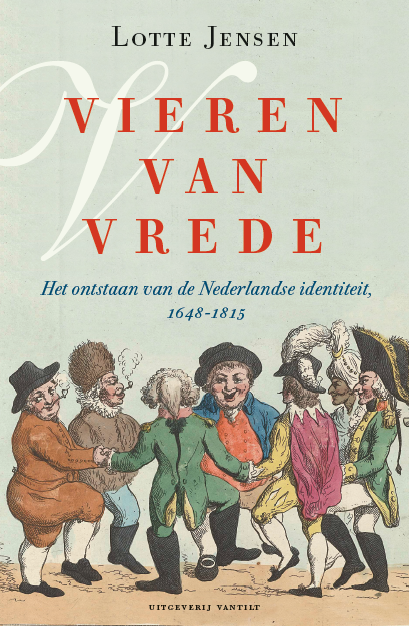 Vantilt Publishers, Spui25, and Lotte Jensen cordially invite you to attend the book presentation of Vieren van vrede. Het ontstaan van de Nederlandse identiteit, 1648-1815 by Lotte Jensen. The presentation will take place on Wednesday 14 September 2016, 17:00-18:30, in SPUI25 (Spui 25-27, 1012 XM Amsterdam). In the course of history we have seen many peace conferences and peace organizations. The Nobel Peace Price was created to honour people who have strived for peace in the most exceptional ways. However, cynics have long since argued that a complete state of peace is something unobtainable. On the contrary, every hard-fought peace is in fact the beginning of a new war. Who is right in this regard, peace idealists or cynics? Beatrice de Graaf, Maarten Prak and Ad van Liempt, three experts on Europe’s political history, will discuss these and more questions on Wednesday 14 September. During this occasion, Lotte Jensen will present her new book. Vieren van vrede explains that peace accords helped shape national identity in the early modern period: dreams about future prosperity go hand in hand with discussions on an ideal Dutch society. All activities of SPUI25 are free of charge. You can register for this event by contacting SPUI25 by email (spui25@uva.nl) or phone (020 525 8142).